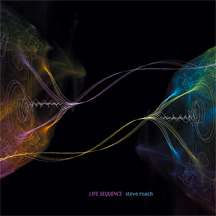 LIFE SEQUENCE is a chronicle of new and personally significant unreleased pieces. Since the release of Core and my recent purely atmospheric projects, I felt the growing urge to re-visit my electronic “roots” in analog sequencer style music. The fact that I had moved away from this sound for awhile made reconnecting with it much like finding an old friend inside myself. While the pieces presented here were recorded over a fifteen year period, they share a similar feeling: that of embracing life’s movement toward the unknown with excitement and anticipation. The first two pieces described below were created during especially significant moments of transition in my own life’s sequence. “Destination Horizon” was originally recorded live for the first Echoes Living Room Concert series in 1988. It was also the last piece created at The Timeroom in Venice CA just before leaving for a second trip to Australia and returning to a new life in Tucson AZ. “Living the Dream” was recorded live in the Tucson Timeroom just before leaving the US for my first European tour in 1991. “Sands of Time” and “Sundial” are recent collaborations with electronic artist Paul Ellis. These pieces grew out of our live rehearsal sessions for a 2002 Portland concert. His appreciation of this style of music and my earlier work in this direction was an inspiration. The opening track, “Lightness of Being” created in 2003, holds for me an unbroken feeling connected to the early impulses that drew me to a form of music I still feel close to my heart.